Your heating and cooling systems are the lungs of your home. The systems take air in and breathe air out. Through normal occupation in a home, we generate a great deal of contaminants and air pollutants, such as dander, dust, and chemicals. These contaminants are pulled into the HVAC system and re-circulated 5 to 7 times per day, on average. Over time, this re-circulation causes a build-up of contaminants in the duct work. Breathe Easy of CNY air duct cleaning crews will get right to work cleaning the entire system, not just vacuuming around the register and vents. Our crews use patented heavy duty industrial equipment to reach through the vents right into the ductwork. No part of the system is left untouched, and all dust and grime is extracted and collected back into the equipment for disposal. We can follow this vacuuming process by using an optional EPA registered fog agent that kills all traces of germs, bacteria, mold and mildew spores that may still be lurking deep inside your system. Now the air in your home is fresh, clean and pure – the way it should be! Another common problem associated with dust build-up in your duct work is, your air ducts are a breeding and feeding zone for dust mites. Although these little critters neither bite nor sting, they are a primary source for allergens. Dust mites are second only to pollen in causing allergic reactions. When dust mites grow, they shed their skin. The shed skin and feces are what cause allergic reactions in people. Allergic reactions range from itching noses and eyes to severe asthma attacks. We recommend that air ducts be cleaned at least every 5 years. 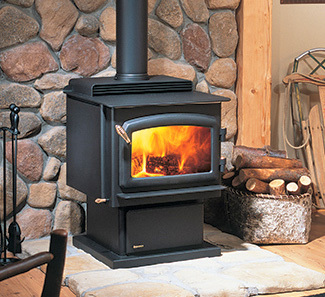 Would you love to have a first or second fireplace installed someplace in your home or office? Adding a fireplace brings a great deal of value, personality and comfort to any home.